Delaware Public Media's Cathy Carter interviews Michael Watson, Chief Academic officer for the Delaware Department of Education, about English language learner initiatives. When Holderline Lebreton was told she could take her world language proficiency test in her native Haitian Creole, she didn't hesitate to say yes. Like all Delaware students, the Seaford High School senior needs to earn two credits in a world language other than English to graduate. But that requirement can be a major hurdle for kids from a non-English speaking home or background. For these students, the demands of acclimating to America, learning English and juggling other coursework can feel overwhelming. Now, there is a program that offers students an alternative, “The Assessing Native Language Proficiency for English Learners Test.” Seven Delaware school districts will receive a $45,000 grant to cover test costs following a successful pilot program last year at Seaford High School. 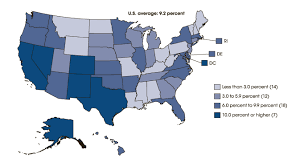 Percentage of English language learners in each state. learners. Between 1997 and 2015, the number of ELL's in the First State rose 369 percent. Research reveals that greater support for a student's native language is related to higher long term academic success. Michael Watson, Chief Academic officer for the Delaware Department of Education saw that first hand at Seaford High School where 26 students took and passed the test. Delaware is home to more than 10,000 ELLs, 80 percent of whom are Latino students from 15 countries. Nationally, the graduation rate for English-language learners in the class of 2014 rose to 62.6 percent, a slight increase over the previous year, according to data released by the U.S. Department of Education last month. Delaware fares better with a 77% graduation rate for ELL’s. That’s why Watson believes the state expenditure is money well spent. 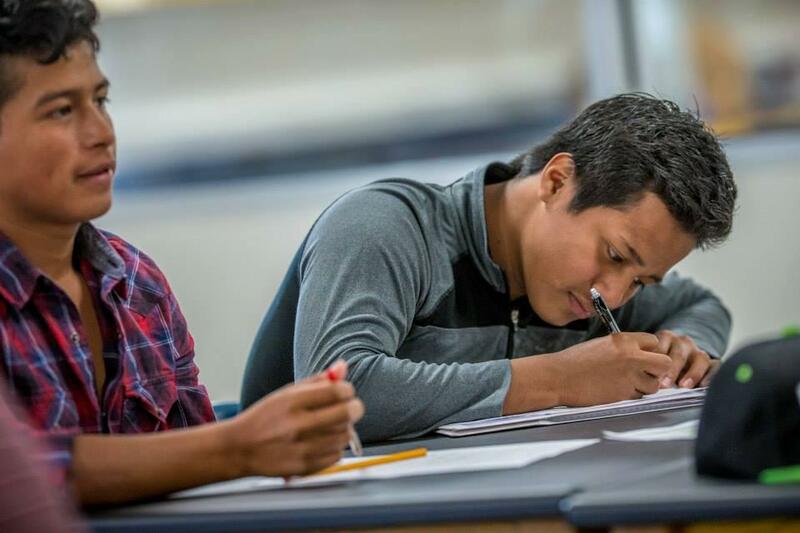 This year, Dover High School will use the Assessing Native Language grant to offer tests in eight languages, including Arabic, Tagalog and Urdu.